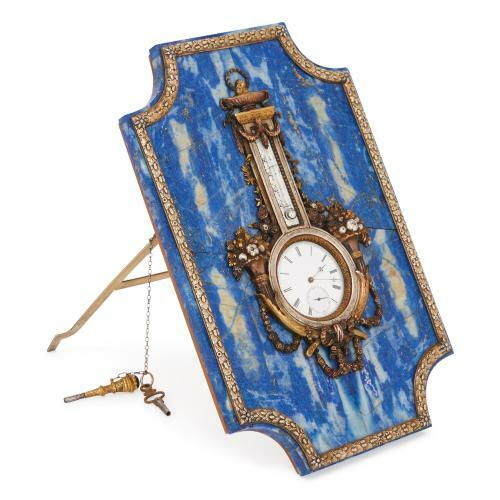 This stunning Russian table clock and barometer is crafted in the Faberge style, and features striking lapis lazuli offset by luxurious gilt mounts. The clock and barometer are formed as a rectangular panel of lapis lazuli set upon wood with canted corners. 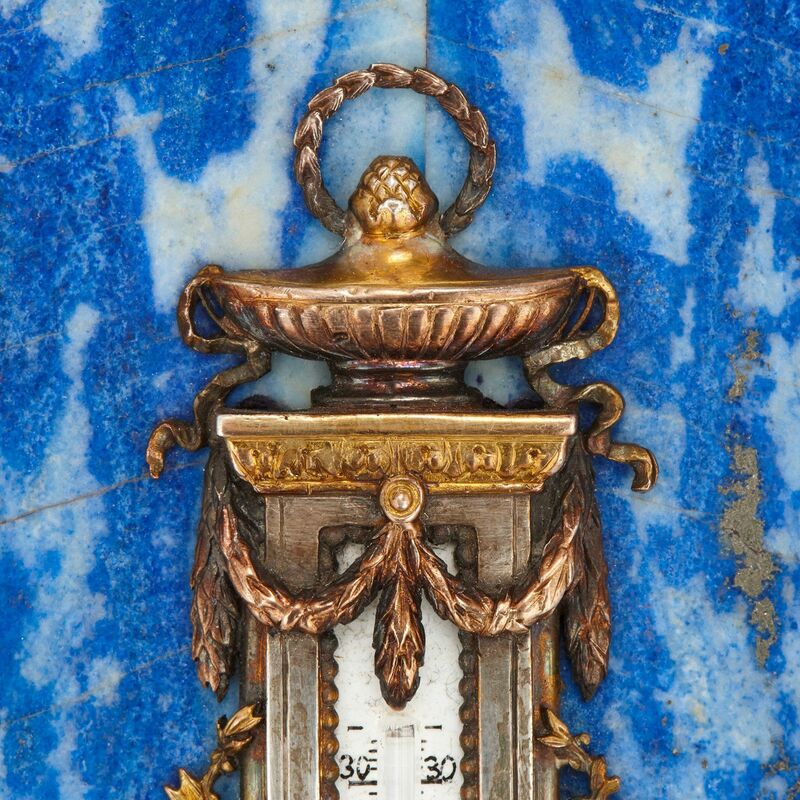 The lapis front is mounted with foliate gilt metal mounts around the edges. 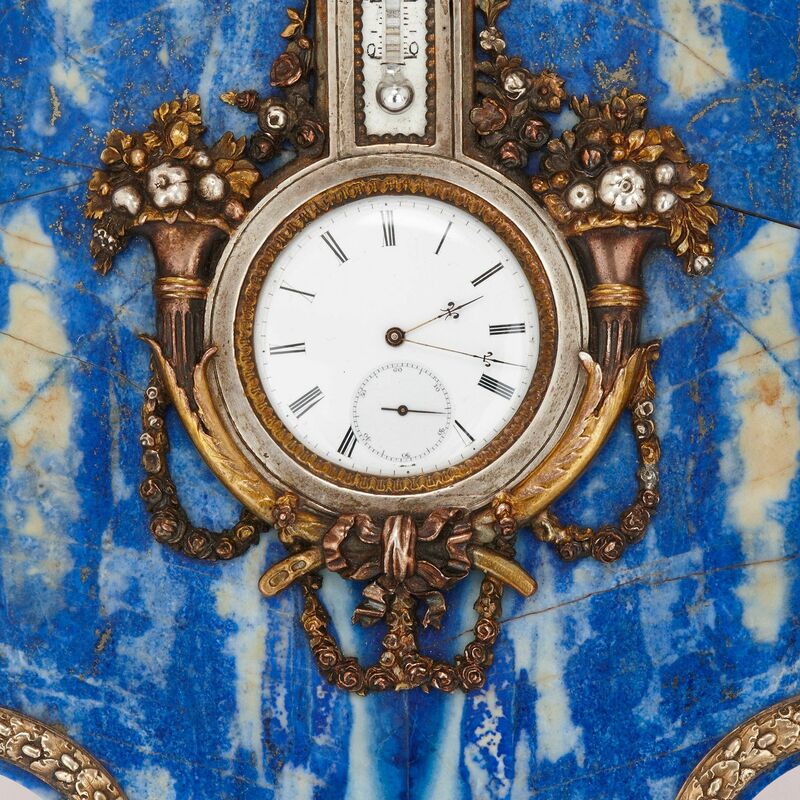 The circular clock dial is set to the centre, featuring black Roman numerals on a white enameled face, and is flanked on either side by gilt mounts of pearled floral bouquets, with swags and ribbons hanging underneath. 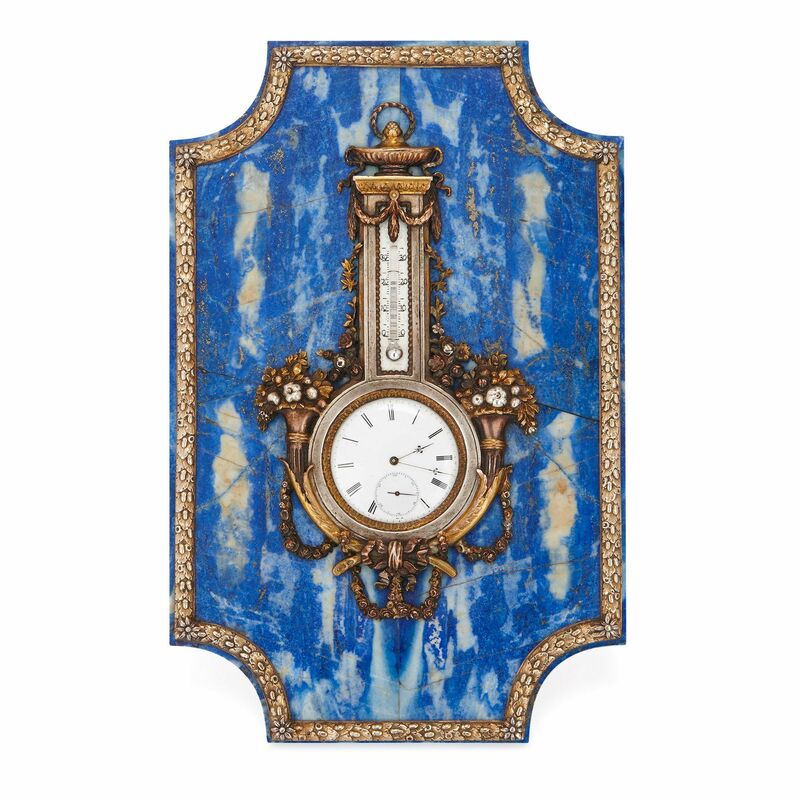 Protruding from the top of the clock dial is the barometer, which is framed within a Neoclassical column with swags, garlands and a surmounting jardiniere. 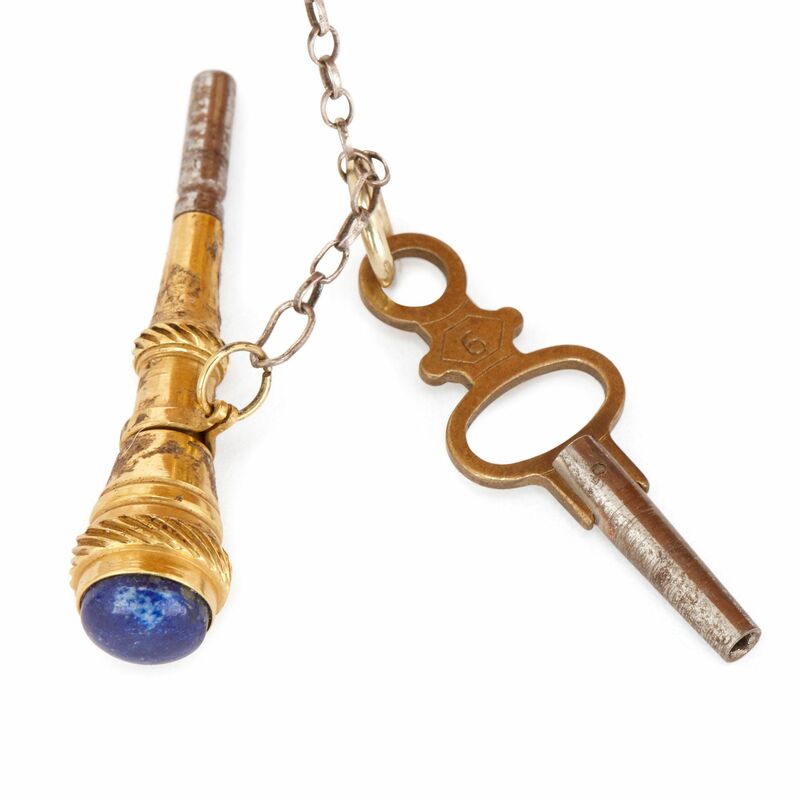 The clock and barometer feature an easel support, from which hang the tuning key and adjustment key. 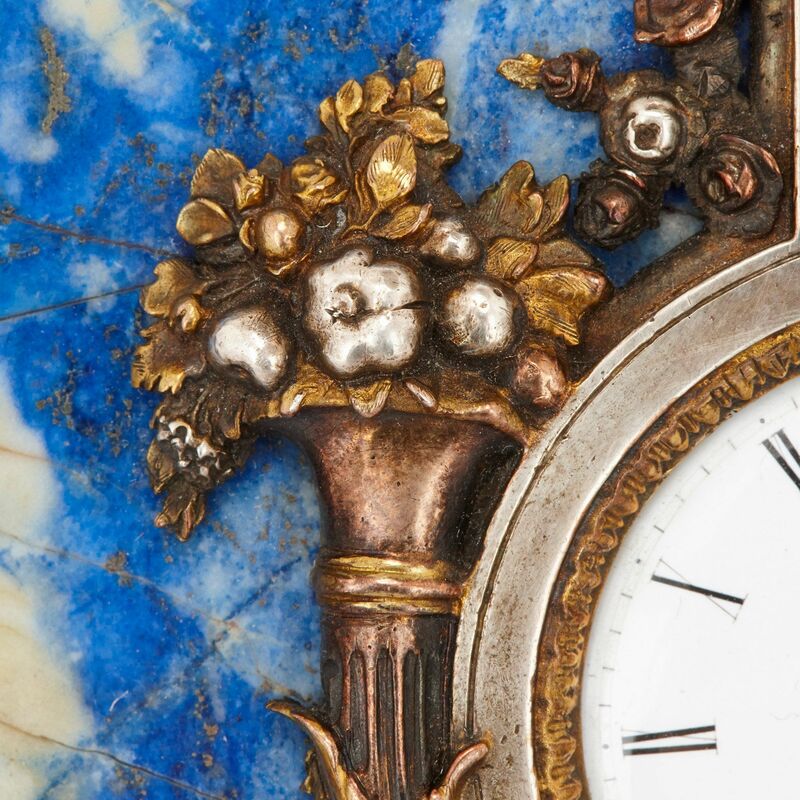 The reverse of the clock bears Russian prestige marks.